Super Mario Bros. Doom. Minecraft. It’s hard to imagine what life would be like today without video games, a creative industry that now towers over Hollywood in terms of both financial and cultural impact. The video game industry caters to everyone, with games in every genre for every conceivable electronic device--from dedicated PC gaming rigs and consoles to handhelds, mobile phones, and tablets. Successful games are produced by mega-corporations, independent studios, and even lone developers working with nothing but free tools. Some may still believe that video games are mere diversions for children, but today’s games offer sophisticated and wondrously immersive experiences that no other media can hope to match. Vintage Games 2.0 tells the story of the ultimate storytelling medium, from early examples such as Spacewar! and Pong to the mind blowing console and PC titles of today. Written in a smart and engaging style, this updated 2nd edition is far more than just a survey of the classics. Informed by hundreds of in-depth personal interviews with designers, publishers, marketers, and artists--not to mention the author’s own lifelong experience as a gamer--Vintage Games 2.0 uncovers the remarkable feats of intellectual genius, but also the inspiring personal struggles of the world’s most brilliant and celebrated game designers--figures like Shigeru Miyamoto, Will Wright, and Roberta Williams. 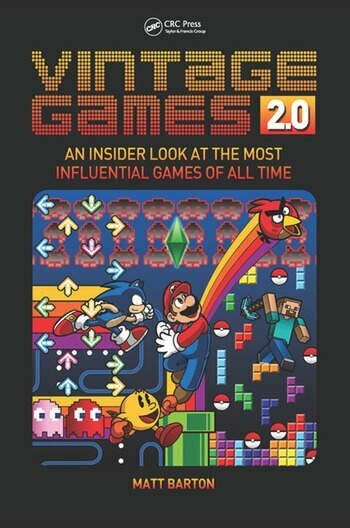 Ideal for both beginners and professionals, Vintage Games 2.0 offers an entertaining and inspiring account of video game’s history and meteoric rise from niche market to global phenomenon. Credit for the cover belongs to Thor Thorvaldson. 1.7 Maze War: The First First-Person Shooter? 3.4 Tetris: The Perfect Video Game? 4.14 Metal Gear Solid: Lights, Camera, Inaction!